Viknesh Vijayenthiran September 2, 2015 Comment Now! 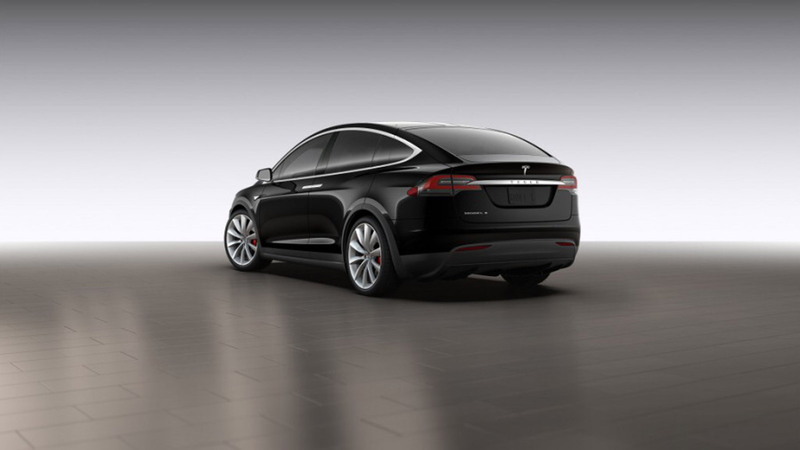 It’s hard to believe that it’s been more than three years since Tesla Motors [NSDQ:TSLA] first showed us a concept of its Model X and opened up the reservation book for the electric SUV. Tesla still hasn’t unveiled the model in production guise but a special online configurator accessible by customers with a deposit down for a Model X Signature launch edition has now given us a glimpse. 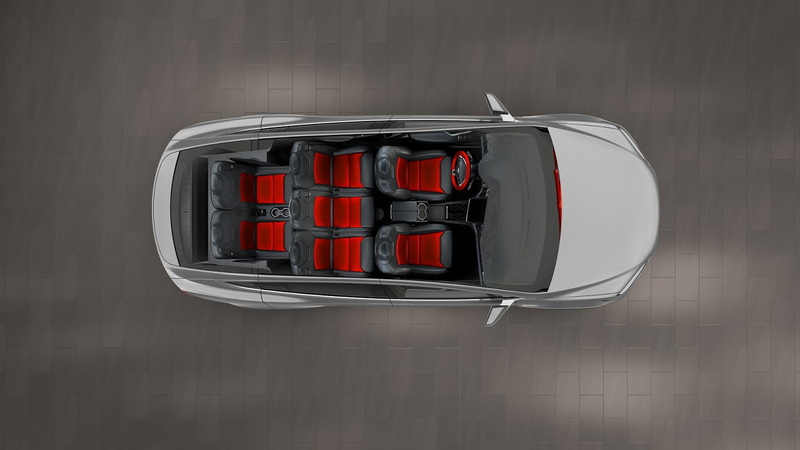 These screenshots of the configurator were posted on the Tesla Motors Club forum and reveal both the interior and exterior of the vehicle, albeit only from a couple of angles. Crucially, one of the shots shows us the look of the car’s promised ‘Falcon Wing’ rear doors in their open position. The Signature edition, officially a Model X P90D Signature edition, comes with a range-topping 90-kilowatt-hour battery pack, which explains why the vehicle has a hefty price tag of $133,200 when you include its $1,200 destination charge. Less expensive versions with smaller battery packs will be offered following the launch of the Signature edition. It’s thought that the entry-level model will start closer to $70k. Some of the specs revealed include an estimated range of 240 miles, a 0-60 mph time of 3.8 seconds, and a top speed of 155 mph. 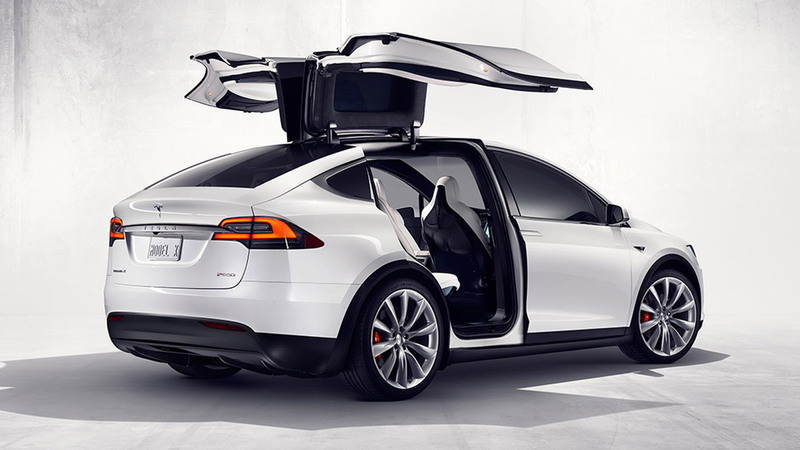 All Model X models will come with Tesla’s dual-motor all-wheel-drive system, and in the case of the Signature edition the front motor will deliver a peak 259 horsepower and the rear 503 hp. For an extra $10k, you’ll receive the much-hyped “Ludicrous Speed” option that will enable the Model X to hit 60 mph in just 3.2 seconds and pass the quarter mile in 11.7 seconds—truly mindboggling figures for a mid-size SUV with the capacity to carry seven adults and tow up to 5,000 pounds. 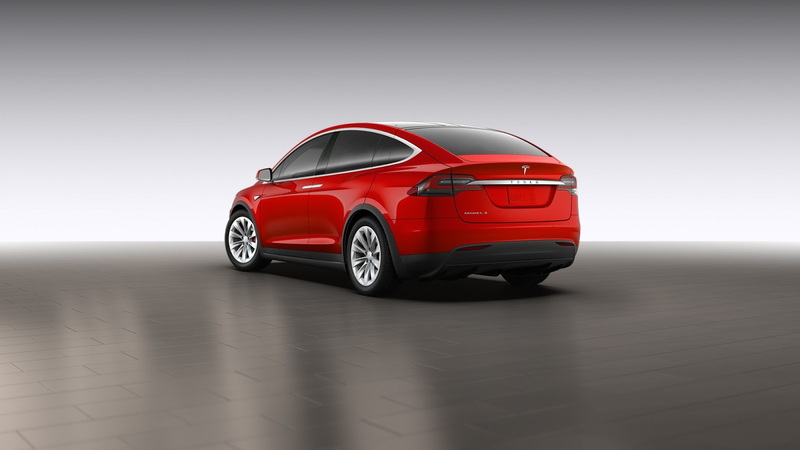 In June, Tesla CEO Elon Musk said the Model X would be out within “three or four” months. The current estimate for the start of delivery is late September. However, if you haven’t already put down a deposit you won’t be able to take delivery until the start of 2016, the company has said. Now that a configurator is up, full details on the Model X should be released soon.